There's a myth in highsec today, the myth that people don't need to buy New Order permits and obey the Code. When you stop and think about how much suffering and devastation has been caused by that myth... It's difficult to even wrap your mind around it. Dear reader, let's make sure that we always stand for the truth. Agreed? 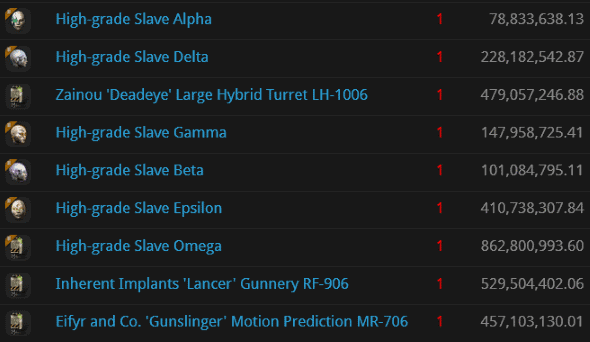 And we can begin by reviewing and internalizing the following kills from the week of July 3rd @ 00:00 EVEtime through July 9th @ 23:59 EVEtime--kills that reflect the reality of highsec and not myths. 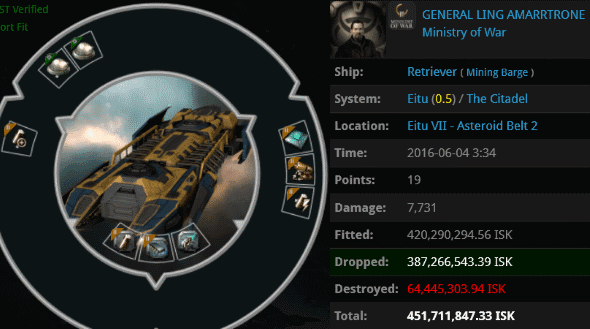 Yes, the second-most damage in all of EVE was done by one of CODE. 's own corps, The Conference Elite. 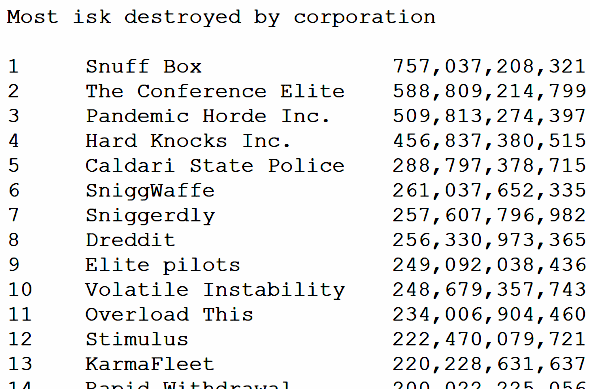 Despite having only 137 members, it out-damaged even the mega-corps with their thousands of members. How'd they do it? They're elite, and they have the Code. They are living the legacy of loyalanon. 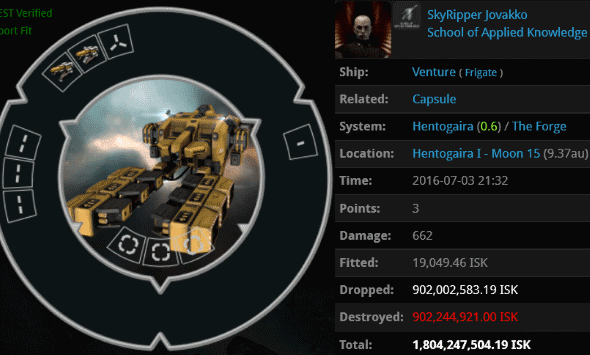 SkyRipper Jovakko had some funny ideas about how to fit his Venture. He had a minimalist approach: A pair of mining lasers and a whole lot of empty slots. Still, even a seemingly austere carebear can hide within himself decadent cravings. 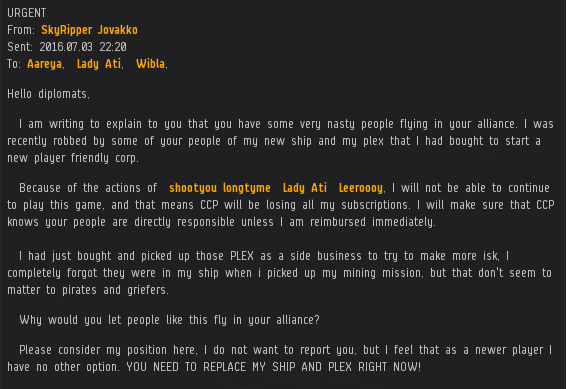 In this case, SkyRipper had a pair of PLEX in his cargo. Agents shootyou longtyme, Lady Ati, and Leeroooy took the fight to SkyRipper and won. And the miners call us extortionists. If you pay close attention to that first paragraph, you'll see that our Agents prevented the creation of another bad highsec corp that preys on new players. 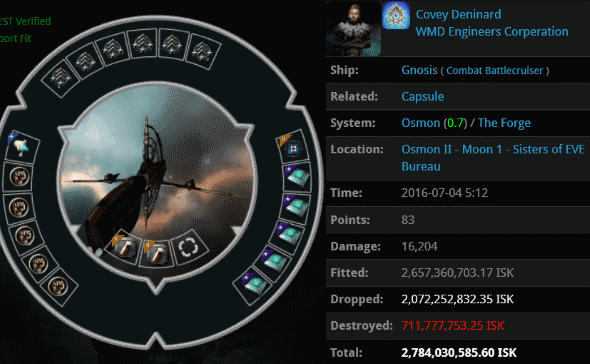 Covey Deninard had a blingy Gnosis worth 2.7 billion isk. It only took one Agent to bring him down, Foo-Foo The Snoo. This wasn't a suicide gank, you see. Covey decided to go AFK outside of a station. While under an active wardec. With a war target in system. His destruction was inevitable. 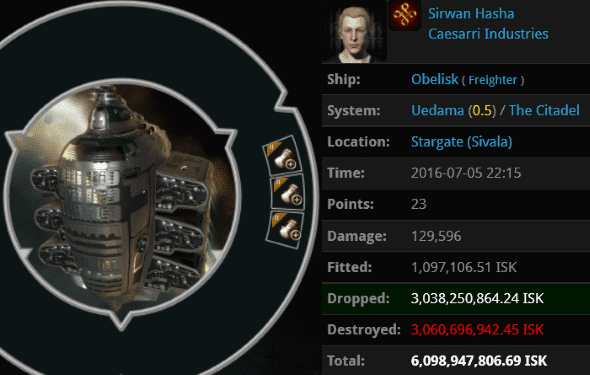 Clearly, CCP needs to nerf wardecs! Last month, GENERAL LING AMARRTRONE's 451 million isk capacitor-tanked Retriever was destroyed by Agent Robbert Dole. Robbert, too, chose to use an approach other than suicide ganking. Actually, Robbert's Stratios was attacked by the Retriever, a "ship that can't shoot back". Apparently this was done in retaliation for Robbert opening fire on GENERAL's 400 million isk Mobile Tractor Unit. Amusingly, the MTU dutifully hoovered up the modules dropped by the dead Retriever, allowing Robbert the pleasure of ganking the pair of ORE Strip Miners twice. Our Agents won't stop until all of those abominations are gone. Sirwan Hasha, a Goofus, was really out of place in the Uedama system. He flaunted a triple-anti-tanked freighter, which AFK autopiloted its way into the fiery embrace of Agents Jayson Kusion, Justin Kusion, Jake Kusion, Jayden Kusion, Joseph Kusion, Johnathan Kusion, Joshua Kusion, Jackson Kusion, Joel Kusion, Jeremiah Kusion, and Jason Kusion. This kill was performed entirely by a single player. No doubt the carebear apologists and theme parkers will cry foul, saying it's unfair for a freighter to be killed by one person. Pay them no heed. The carebears think it should take a two-thirds majority in Congress for a freighter to be destroyed. 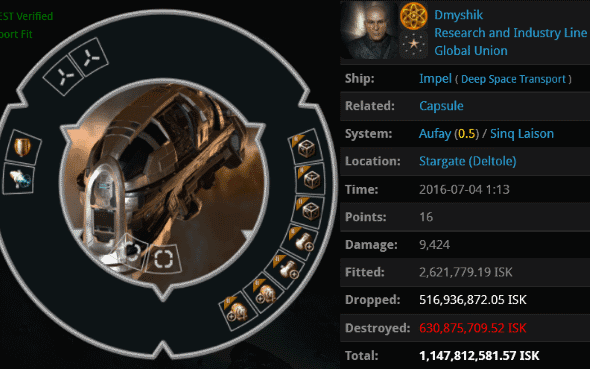 Dmyshik had about a billion isk worth of cargo to move, but not many ideas about how to fit his hauler. He was willing to try anything except a fit that would increase his EHP. He also neglected to purchase a New Order mining permit. These errors led to his doom at the hands of Agents Lucia, Eva Mavas, and Snapcase. There's a lesson to be learned here, I think. The New Order has reduced the traffic of autopiloting shuttles by ninety-five percent. Davi Akiga was among the holdouts. Agent Brutal Anna wasn't willing to abandon the mission before it was 100% complete. 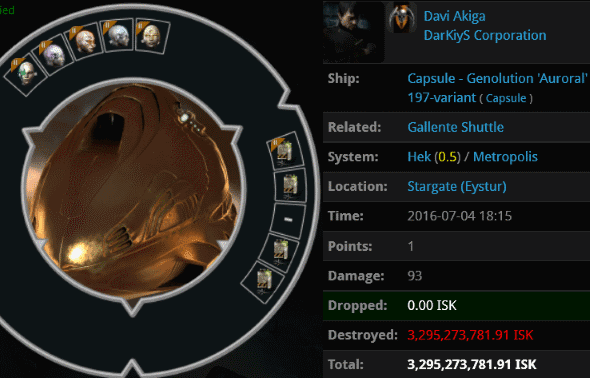 3.2 billion isk later, Davi might be more willing to join the 95%. Why spend so much money on fragile implants when you can own something more resilient and dependable--New Order shares, for example? Preheat oven to 350 degrees F (175 degrees C). Cut spareribs into serving size portions, wrap in double thickness of foil, and bake for 1 1/2 hours. Unwrap, and drain drippings. Place ribs in a large roasting pan. In a bowl, mix together brown sugar, ketchup, soy sauce, Worcestershire sauce, rum, chile sauce, garlic, mustard, and pepper. Coat ribs with sauce and marinate at room temperature for 1 hour, or refrigerate overnight. Antigankers failures for ANOTHER week. Lol at Skyripper. I wonder what game he thinks he's playing? CCP even made a FAQ just for this kind of guy. 5.3 SOME PLAYER JUST SHOT ME; IS THAT ALLOWED? a PvP (Player versus Player) game at its core. 7.2 CAN I AVOID PVP COMPLETELY? But where oh where is Ming? "They are living the legacy of loyalanon." What legacy would that be? Lack of self control? Lack of sensibility? Types the first cruel thing that comes to mind in local and gets banned on the forums and then the game he loves to troll on so much as well. So not much of a legacy to look up to as a human being. Otherwise a perfect role model for all other troll agents. Carry on CODE. Only good legacy of code is gf in local not much else. I particularly enjoyed the reddit thread with the additional email exchanges. I like how another carebear pleads poverty, and then in the next breath threatens to hire "legions" of mercenaries for perma wardec lol. Well done, agents!